Ultra White Collar Boxing (UWCB) offers people with no boxing background the opportunity to experience the world of boxing. UWCB provide training, advice and so much more for those looking to take part in something truly unique and raise money for Cancer Research UK. UWCB needed an effective way to communicate with people who had signed up. The team wanted to contact the potential participants directly, providing them with information regarding upcoming events. SMS offered a direct and time efficient communication channel for both the team at UWCB and their participants. Using SMS also meant that it is far quicker and simpler to communicate last minute time changes to large groups of people straight away. 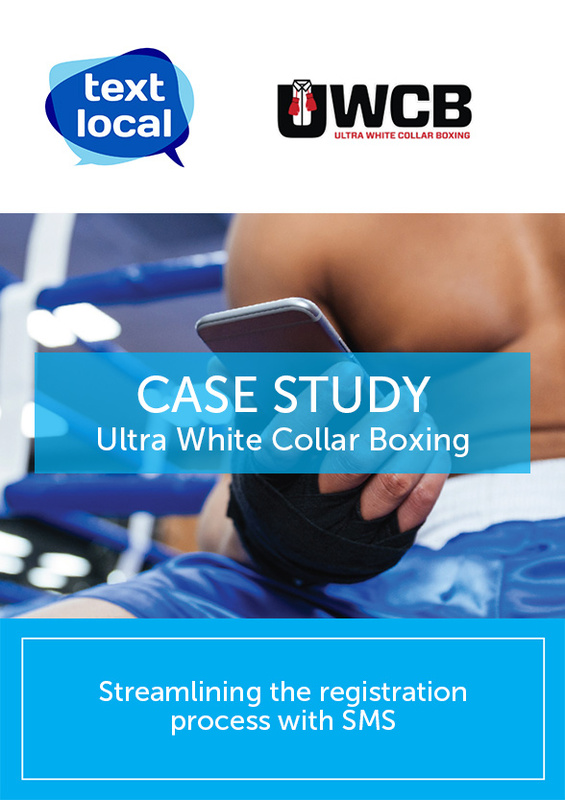 Using the Textlocal SMS platform enabled UWCB to schedule their messages during work hours which could then be sent at a time that best suited their participants. To make the registration process more efficient, the team send their SMS updates in the evening when people are at home and therefore more likely to follow through on an action in the message or click through on a link. The inbuilt reporting is also beneficial for staff as they can see if anyone hasn’t received a message or if an SMS failed to send so they can weed out any incorrect mobile numbers.